Havre de Grace’s Josiah Scott puts up a shot during Thursday’s evening UCBAC Susquehanna contest with Elkton. The junior guard scored 13 of his team-high 19 points in the opening half as the 20th-ranked Warriors defeated the Elks, 74-58, in Harford County. Last month, Havre de Grace High got a buzzer-beater to spoil Elkton’s boys basketball’s perfect season. The Warriors didn’t need late game heroics in the rematch Thursday evening. Now, they’re on verge of perfection. No. 20 Havre de Grace posted a 74-56 decision over the Elks in UCBAC Susquehanna action in Harford County. Junior point guard Josiah Scott finished with 19 points for the Warriors (19-0 overall, 13-0 Susquehanna), and Jordan White added 15. Havre de Grace led by as many as 25 points, clinching the Susquehanna crown. The Warriors are the lone undefeated in the Baltimore region. Havre de Grace coach Brian Eberhardt didn’t foresee a perfect run back in the preseason. “Once you put in the hard work, you can do anything,” said Scott. Scott set the tenor for Havre de Grace with 13 points in the opening quarter. The 5-foot-7 floor general had a stretch where he dropped a 3-pointer, stole the ball and went in uncontested for a layup and hit a mid-range jumper, turning a 7-5 deficit into a 12-7 advantage for the Warriors. Havre de Grace never trailed again, connecting on seven 3-pointers in the opening half en route to a 38-22 advantage. The Elks got within 38-31 early in the third on a jumper from Da’Mear Triplett, but five three throws and a Marlon Lewis’ 3-pointer kicked Havre de Grace’s advantage back to double digits. Lewis converted two free throws after getting an offensive rebound off a missed throw and was fouled. Lewis (14 points), a transfer from Woodlawn where he starred as a freshman last season, has provided a competitive edginess to the Warriors. Havre de Grace opened up a 69-44 lead with three minutes left in regulation after Jordan White found an open Quinton Ware under the basket for a layup. Junior guard Gary Gibson (13 points) and also reached double figures) for the Warriors. 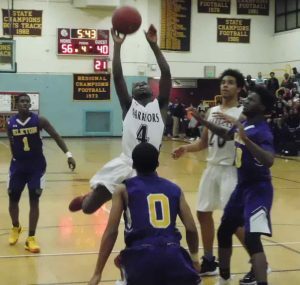 Junior guard Jaire Hoke’s banked 3-pointer at the buzzer was the difference for Havre de Grace in a thrilling 61-58 decision a couple of weeks ago at Elkton, propelling the Warriors into first in the Susquehanna. Outside of the opening couple of minutes and first three minutes in the second half, there wasn’t much drama in the rematch Thursday. Farad Stevens finished with a game-high 25 points for Elkton (16-2, 10-2 Susquehanna), and Da’Mear Triplett added 12. The Cecil County squad didn’t have the services of guard Marquis Battle, who’s done for the season because of a school-related matter. 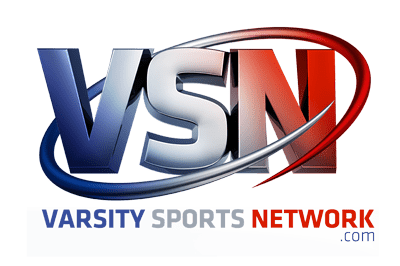 The Warriors are in position for a perfect regular season, with a road game Thursday at Rising Sun the final obstacle. Havre de Grace (won 16 games last season) is looking for a deep run in the upcoming postseason. Havre de Grace last reached the state final four (Class 1A) in 2003. 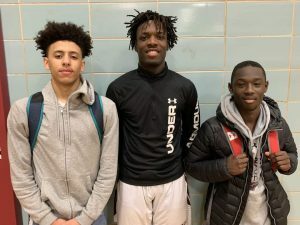 Havre de Grace, with Gary Gibson (left), Marlon Lewis and Josiah Scott, continued its breakout boys basketball season Thursday night. The No. 20 Warriors clinched first in the UCBAC Susquehanna with a 74-56 home victory over Elkton to improve to 19-0. Elkton – Triplett 2, Stevens 25, D. Triplett 12, McMichael 5, Moncrieffe 2, Ewing 2, Jackson 3, Croxsell 5. Totals 23 4-6 56.